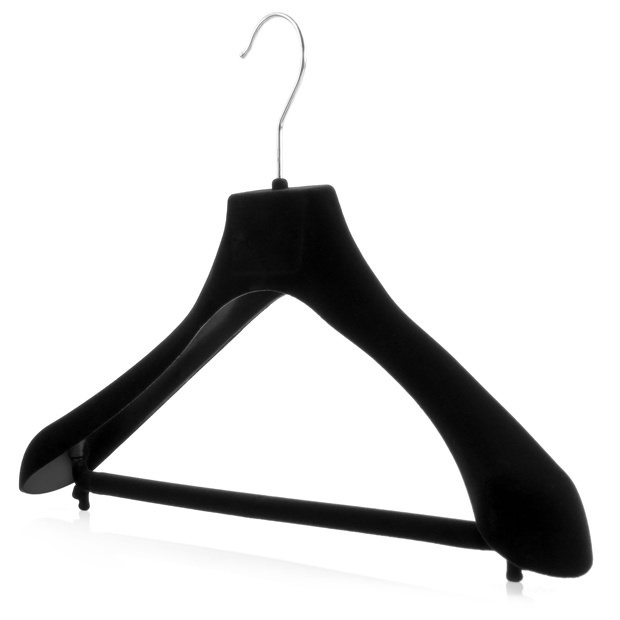 Premium quality, soft flocked velvet, non-slip coated hangers. Durable and strong. 5cm broad arm profile and wishbone design, giving extra shoulder support to help keep garments in shape. Lower hooks for skirt and trouser loops. Size: Width x Arm Depth 42cm x 5cm (16.5" x 2") approx.